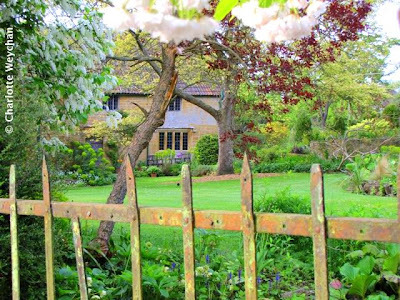 East Lambrook Manor in Somerset is a tiny garden that draws visitors from all over the world - former home of much-loved garden writer and plantswoman Margery Fish, it's famous for its snowdrop collection and applauded as one of the greatest "cottage gardens" in the country. Hardly surprising since its owner was the author of "Cottage Garden Flowers" - a whole new approach to English country gardening in the 1960s. A wonderful garden to visit if you're looking for ideas for your own plot at home and there's also an excellent nursery where you can buy the plants that have inspired you. A long way from Dorset and on an altogether different scale from East Lambrook, is the Edison Estate in Fort Myers, Florida. Former home of Thomas Edison of light-bulb fame, it has fine collections of palms and cycads, plus the largest banyan tree in America. Henry Ford moved here a few years after Edison and you can look around their homes as part of your visit, as well as enjoying the gardens with their fine views over the water. 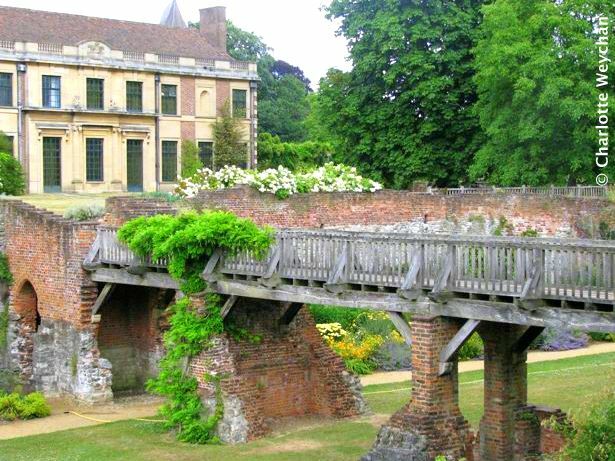 Eltham Palace on the outskirts of London attracts Art Deco fans and gardeners. It's a fine example of a moated property dating back to the 12th century, but notable for its fine Art Deco furnishings acquired by Stephen and Virginia Courtauld who built a new house here in the 1930s. They were also keen horticulturists and laid out the gardens, including the Rose Garden. Now under the stewardship of English Heritage, this is another property where restoration is underway, but the gardens are worth visiting even if you're not an Art Deco aficionado. Easily accessible from Central London. The Englefield Estate in Berkshire has a fine spring garden adjacent to the mansion. It's filled with wonderful displays of rhododendrons, azaleas and camellias and has some glorious views over the surrounding countryside. The Estate has some 3,500 acres of woodland and some fine architecture. Definitely another garden to watch, since the owners are restoring it to its former glory. 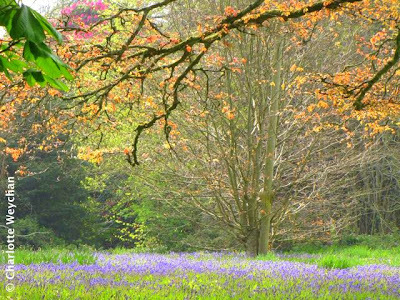 Eat your heart out over the bluebells at Enys in Cornwall in May (above) - a stunning display in another garden that's under restoration. Considered to be the oldest garden in Cornwall, this property has been owned by the same family since the 13th century, and when John Davies Enys arrived here from New Zealand, he planted many fine trees in the garden. 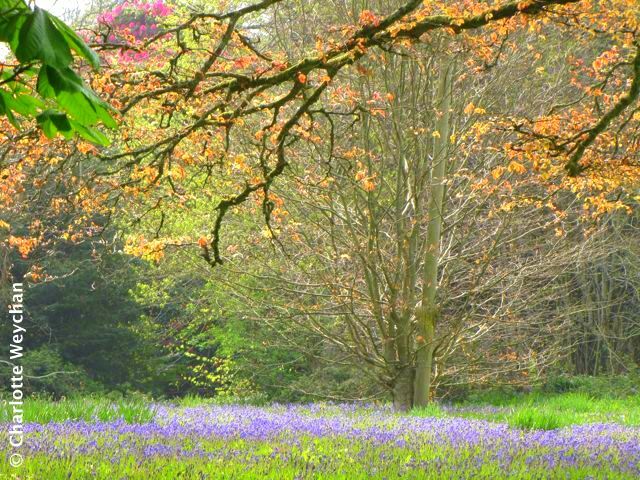 Expect to see Enys established on the English garden map in the next few years! 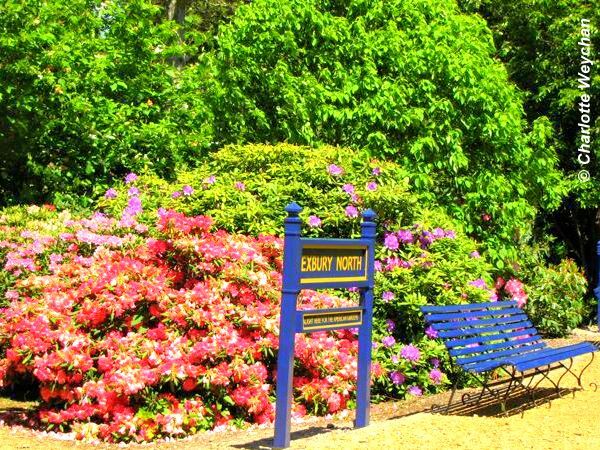 Exbury is famous the world over for its spring colour displays. It has one of the finest collections of rhododendrons, azaleas and camellias in Britain, planted by the Rothschild family - a 200-acre garden bursting with colour, and complete with its own railway. A wonderful place to walk and the kids will love the train! 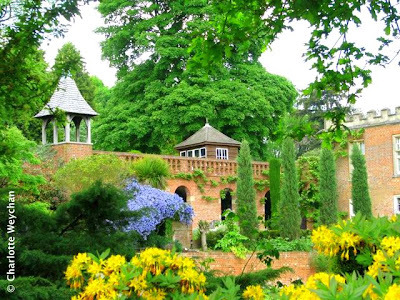 I never had a strong desire to visit England before but NOW I HAVE TO visit some of these gardens. Beautiful! 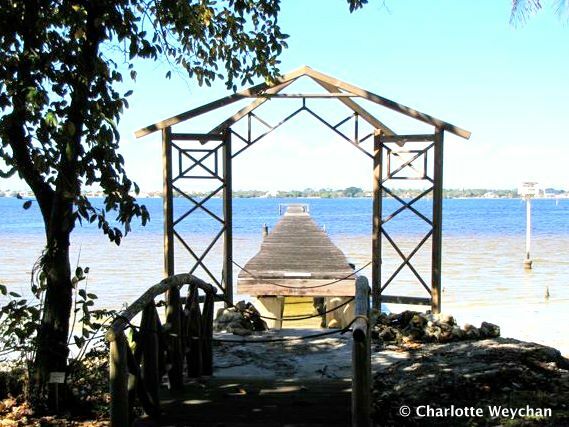 I will definitely stop in to the Edison Estate as we plan to spend more and more of our winters in sunny Florida. I used to live near Englefield Estate when I was younger and I dont remember it being known as having a garden, probably before it was being restored. Englefield Estate has a lovely garden from the images. It is wonderful so many gardens that you show are being restored. The history and uniqueness should never be lost. I read Margery Fish's book We Made A Garden, a number of years ago. I believe she really loved that home, and she certainly worked very hard in the gardens. I would love to see them one day. I just found your post for May 2010 where you have more information and photos of the garden. Glad I lingered today. I always knew that England has beautiful gardens, well-manicured lawn, sculptures, majestic looking trees,lovely plants and flowers. Here everybody tries to emulate English gardens in their compound even on the highrise apartments! 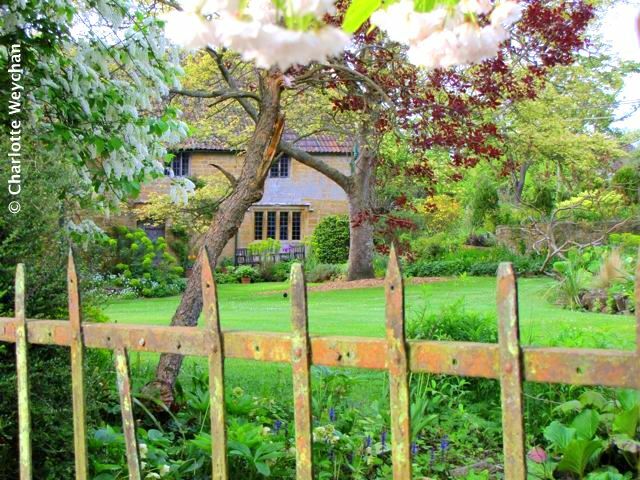 Just love that quaint little cottage garden in your first photo..